Is it safe to fly on a private jet charter flight? Home / 5 Star Service / Q. Is it Safe to Fly on a Private Jet Charter? Q. Is it Safe to Fly on a Private Jet Charter? A. Absolutely! Private Jet Safety is Always Number One Priority. From the planes that we fly to the pilots behind the controls, safety is always our number one priority. You may have heard that flying to your destination is actually safer than driving there and the research proves that this is true. According to the National Safety Council, flying is the safest way to travel period…and that includes riding in cars, riding on motorcycles, and even riding your bikes. In fact, it doesn’t even matter if the plane you are in is the latest and greatest or if it has been in service for years, flying is the safest way to get where you need to go. 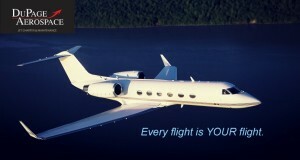 Private Jet Charters are Flown by Only FAA Certified Pilots. All DuPage Aerospace flights are piloted by two qualified FAA certified pilots. All private charter pilots are required to follow the same rules laid out by the FAA as commercial pilots. These rules and regulations dictate things like how much rest a pilot must have before flying, how often they must have a physical exam, and include strict mandates related to drug and alcohol testing. These regulations are in place to ensure that every passenger on a U.S. flight, regardless of whether the flight is on a commercial plane or on a private charter, will arrive safely at their destination. Our commitment to safety ensures you will have the safest possible experience every time you board one of our private charter flights. We strictly follow all FAA rules and regulations for aircraft maintenance, pilot training and qualifications, and weather conditions. This means that if weather conditions are incompatible with the pilot being able to safely operate the plane for your charter, the flight will not take off until it is safe, according to the FAA, to do so. Your safety is our highest priority. You can rest assured that our commitment to safety combined with the rules and regulations mandated by the FAA mean you will be safe and secure from take-off to landing. Safety, comfort, convenience, flexibility and 5 star VIP treatment is what you can expect from every member of the DuPage Aerospace team when you choose us as your private charter flight provider.